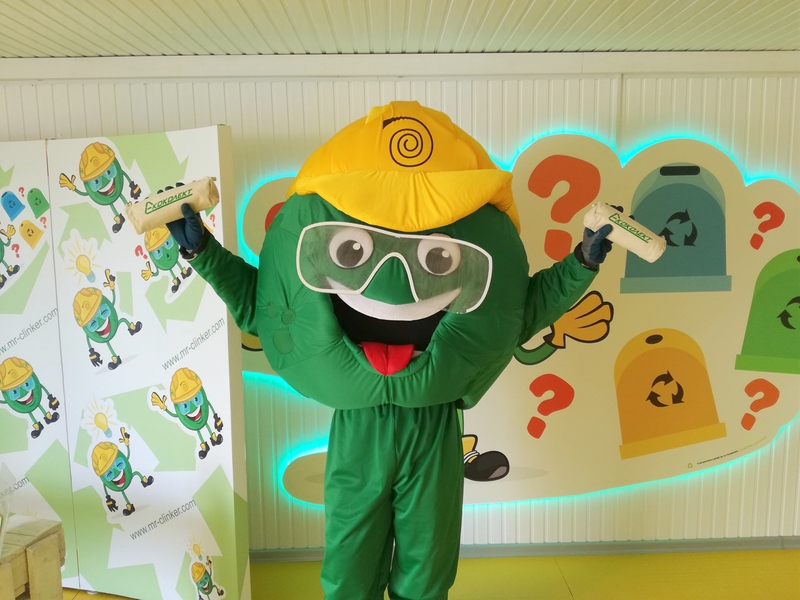 Several hundred children from 9 municipalities visited the green hero Mr. Clinker, a talisman of the children’s museum “Road of Waste” in Devnya. The campaign is a joint initiative of Devnya Cement JSC, the founder of the museum and Ekokolect JSC, in order to support the ecology education of the students. During the interactive visits, all children had the opportunity to learn what is happening with the waste we throw away and why it is so important to sort it and which color container of Ekokolekt JSC is intended for what type of waste. The successful waste management is an ecological topic that Devnya Cement JSC has implemented in many of the company’s social campaigns, and for a year and a half since the musem “Road of Waste” exists, has been visited by hundreds of children. The educanional visits of the museum organized by the two companies were organized with the kind support of the ecology teams of the municipalities Beloslav, General Toshevo, Suvorovo, Balchik, Aksakovo, Kavarna, Shabla, Dolni Chiflik and Provadia. The campaign has proved to be a good example of how institutions work together with businesses in favor of nature and children!